Use our Linus Cabinet Tiered Tote to sort and store your go-to spices and baking ingredients for easy access. 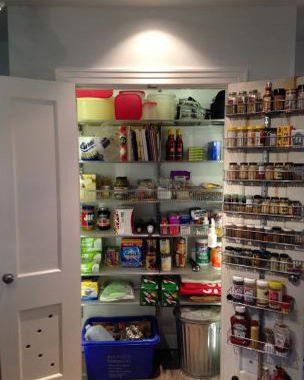 With two tiers on each side, this pantry organizer lets you check contents at a glance. A large handle at the top lets you grab it and go, eliminating back-and-forth trips to the pantry while preparing recipes. Its sleek design adds instant order to a shelf or cabinet, or even in a craft room where it's perfectly sized for small supplies.